There’s a lot of buzz around the upcoming iPhones this year, especially the high-end OLED panel-totting Apple iPhone 8. But if you’re holding out to buy the anniversary edition iPhone, you might have to wait a bit longer than usual. According to reports, owing to ‘technical issues’ in production, the launch of the iPhone 8 could be pushed to October or November. 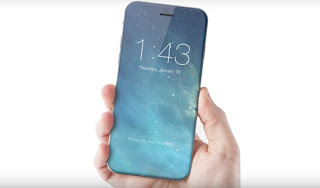 According to China’s Economic Daily News, “Technical issues related to the lamination process of curved OLED panels, and the adoption of a 3D sensing system may cause the delay of the new iPhone devices.” This is in line with previous reports suggesting that the switch to an OLED display, and related new technologies may cause the launch to be pushed towards the fourth quarter of this year. In such a case, the iPhone 7s and the iPhone 7s Plus could launch in September as is the tradition, while the high-end iPhone 8 will launch a bit later. Another scenario could see Apple introducing all three iPhones together in September, but the iPhone 8 will be available in limited quantities. It’s not like Apple to break its own traditions, and staggering the launch of its iPhones seems unlikely. It is more likely that Apple will take the wraps off the iPhone 8 in September along with the iPhone 7s and iPhone 7s Plus, but one will have to wait quite a bit to get their hands on the premium device. The company recently placed an order with Samsung for the delivery of 70 million OLED panels, and is expecting high demand for the iPhone 8. The high-end iPhone 8 is expected to flaunt a 5.8-inch edge-to-edge curved OLED display, of which about 5.15-inch will be usable area. The Touch ID sensor this time around is expected to be embedded under the display with a dedicated touch area for a range of virtual buttons. The back panel too is expected to be made using glass, which will allow in the integrating of wireless charging capabilities.